New Jersey Courts Continue to Apply a “Berry” Narrow Application of the Mode-of-Operation Doctrine | Golden Rothschild Spagnola Lundell Boylan Garubo & Bell P.C. As a follow-up to GRSLB&G’s March 2014 and October 2015 articles concerning the application of the “Mode-of-Operation Doctrine” in premises liability matters in New Jersey, the State’s Appellate Division recently reinforced the Supreme Court’s ruling in Prioleau v. Kentucky Fried Chicken, Inc., 223 N.J. 245 (2015), by concluding that the Mode-of-Operation Charge did not apply when there was no clear nexus between the self-service component of the business and a risk of injury where the accident occurred. In Troupe v. Burlington Coat Factory Warehouse, Corp., (36-2-8985), the Appellate panel again refused to shift the burden of proof in a case where the alleged condition did not have a relationship with the nature of Defendant’s business. In Troupe, Plaintiff visited the “Baby Depot” section of Burlington Coat Factory (“Burlington”) in the Middlesex County Mall. While walking through the store, Plaintiff’s foot slipped on a berry that she did not see on the floor, causing her to fall and injure her knee and back. An investigation revealed that there was no other fruit in the area, and no one was identified as eating fruit in the vicinity. Discovery revealed an outside service cleaned the store every morning before the store opened. Aside from the morning cleaning, there was no periodic sweeping of the floors. Employees who dropped or happened to see something on the floor would simply pick it up. Plaintiff argued that the Mode-of-Operation Doctrine applied, and as a result, Plaintiff was not required to demonstrate actual or constructive notice because Burlington should have foreseen that babies and children in the department would likely be eating snacks, drinking drinks, and otherwise dropping things so as to create risks of injury. The Trial Court granted Summary Judgment in favor of Burlington finding that there was no genuine issue of material fact that the store lacked any actual or constructive notice of the dangerous condition on the premises, the unseen berry on the floor, and, therefore, the store did not breach the duty of care to the customer invitee. 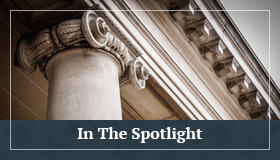 In addition, the Court held that the Mode-of-Operation Doctrine did not apply because the item on the floor that allegedly caused Plaintiff’s fall was not significantly connected with any self service component of the store’s business. Plaintiff appealed the Trial Court’s decision. The Appellate Division affirmed, citing to the Supreme Court’s decision in Prioleau to uphold the Trial Court’s decision to not apply the Mode-of-Operation Doctrine. In comparing the facts of each case, the Appellate Division found that in both cases, the alleged conditions that caused each accident did not have any relationship with the self-service component of the defendant business proprietor. Namely, the Appellate Division found that a berry on the floor did not have any relationship to the self-service component of Burlington, just like the grease from the kitchen or water tracked into the store by the customers did not have any relationship with the self-service component of the Kentucky Fried Chicken in Prioleau. The Court’s holding in Troupe is significant in New Jersey as once again a Court has refused to broaden the application of the Mode-of-Operation Doctrine. Recent precedence in New Jersey clearly establishes that the Mode-of-Operation Doctrine should not apply to cases where it can be argued it is foreseeable that the target customer may leave hazards, such as food and drinks, in their wake. As set forth in Prioleau and reinforced in Troupe, the application of the Mode-of-Operation Doctrine focuses on whether the specific hazard has a relationship to the self-service component of the business. In defending premises liability cases, it is therefore essential to perform a proper analysis of the nature of the business, the location of the accident, and the specific condition alleged to have caused the accident. This analysis will determine which party has the burden of proof and the ultimate advantage at the time of Trial. The Court’s recent rulings arguably continue to narrow business owners’ and its insurers’ potential level of exposure for accidents which fall outside the scope of the self-service component of their business. For a history of the continuing evolution of the case law in this area, we refer you to our March, 2014, article regarding the Appellate Division Opinion of Prioleau v. Kentucky Fried Chicken, Inc., 434 N.J. Super. 558 (App. Div. 2013). (http://grsl.com/the-application-of-the-mode-of-operation-doctrine), and October, 2015, follow-up article discussing the New Jersey Supreme Court’s decision affirming the Appellate Division’s opinion. (http://grsl.com/location-location-location-mode-of-operation-rule-not-automatic-in-new-jersey/). Philip A. Lundell, Jr., Esq. is a Shareholder in GRSLB&G’s Litigation Department. 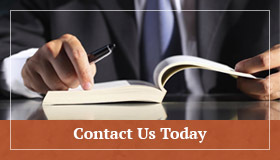 He defends a wide variety of clients in various civil actions brought forth in New Jersey State and Federal Courts. Phil can be reached at plundell@grsl.com.